Daly, D.F.M., P.L.H. McSweeney and J.J. Sheehan (2009). 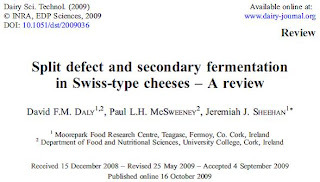 Split defect and secondary fermentation in Swiss-type cheese. Dairy Science and Technology (DOI: 10.1051/dst/2009036). 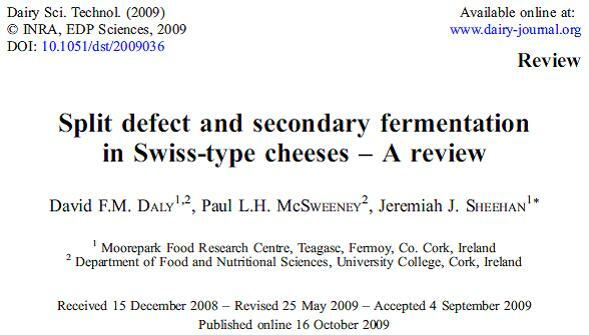 This article is one of Dairy Science and Technology's "highlight papers" and is available free from the publisher's website.